This show made sure to set the tone properly right out of the gate. We go right into a somewhat tense setting with these human-eating demons leaving carnage in their wake. It all started nicely in establishing the difficult life that Tanjiro has with his family. Tanjiro is the eldest son that is doing his best to look after his mother and numerous siblings. Life isn’t exactly roses for them, but they are making the best out of it. And it all just turns into a total nightmare for him in a hurry. One night of rest before going back home made all the difference in his life. Of course even if he was there that situation likely ends in tragedy. But it is no doubt agonizing to show up and know that he had no chance to even try. This demon situation really is close to a zombie apocalypse. Not quite as severe since not everyone turns into a demon after being attacked. Nezuko is no doubt not the most common result of an attack. Even one or two demons resulting from an attack like that would lead to things spiraling out of control in a hurry. On top of that it appears these people are still alive, just turned into berserkers. In that respect there is probably more hope than you’d find with zombies. If Nezuko is alive then finding a way to deal with the contamination from the demon blood inside of her could do wonders. But finding a way to do that is easier said than done. If it was easy to turn people back to humans then a lot of troubles wouldn’t exist. Tanjiro is taking a lot onto his shoulders. It was interesting though to see the response coming from Nezuko. 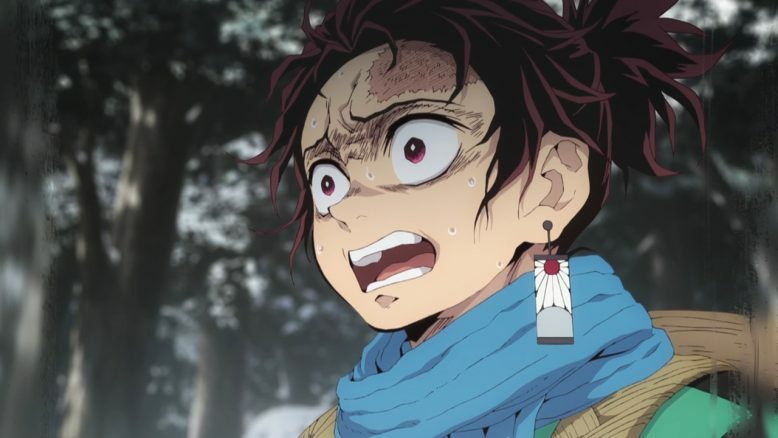 I get Tanjiro being more upset about his sister becoming a monster than the fact that he could end up dead. 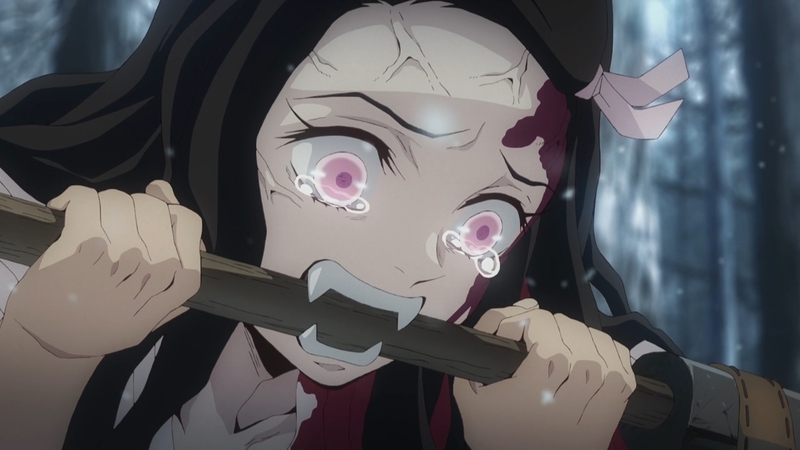 But the fact that his emotions and words resonated with Nezuko even in that state was worth seeing. It’s a great way to show that she is still very much in there. She’s the biggest victim here in having been there while her family was slaughtered and turning into a demon herself. What changed everything was this girl resisting those destructive urges to feed and instead protected her brother. Of course she couldn’t win against someone trained to defeat demons in general. But winning wasn’t as important as creating a sense of interest. 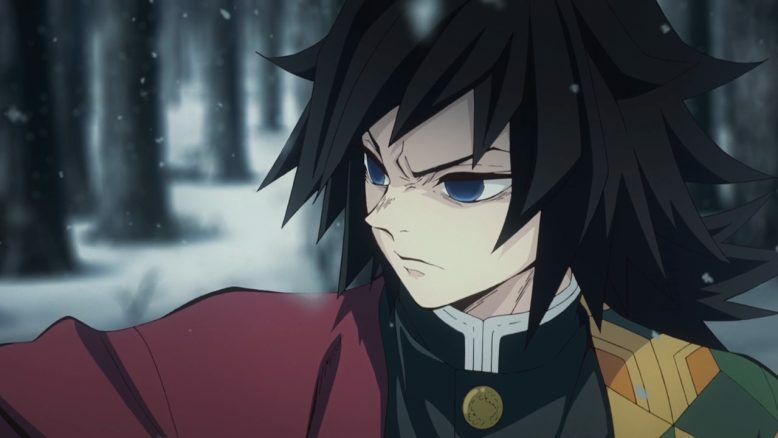 It is worth seeing if Tanjiro can turn his sister back to normal and if Nezuko can keep resisting the dangerous urges she now has. We did get some nice moments in that confrontation between Tomioka and the siblings. No doubt he’s seen and likely experienced himself the sort of grief that Tanjiro is dealing with. I doubt many people sign up for that kind of nightmarish work for fun. And I actually liked that he had mixed feelings. There’s no fun in it for him in bullying the weak or killing people that have turned into demons in front of their relatives. It is worthwhile though to give a push to someone who may end up on the same road that he is on. And once he did see that this situation was rather unique, then he made the harder choice to see where this all goes. He did almost take a hatchet to the head for his trouble though. The first episode did a nice job setting the stage and the world we are diving into. And it does start off with a pretty heavy dose of tragedy. That was a real massacre with Tanjiro’s mother and four siblings all being killed off. We didn’t get a lot of time with them, but I think we got enough. At least enough to empathize with the level of loss the main character is carrying around. 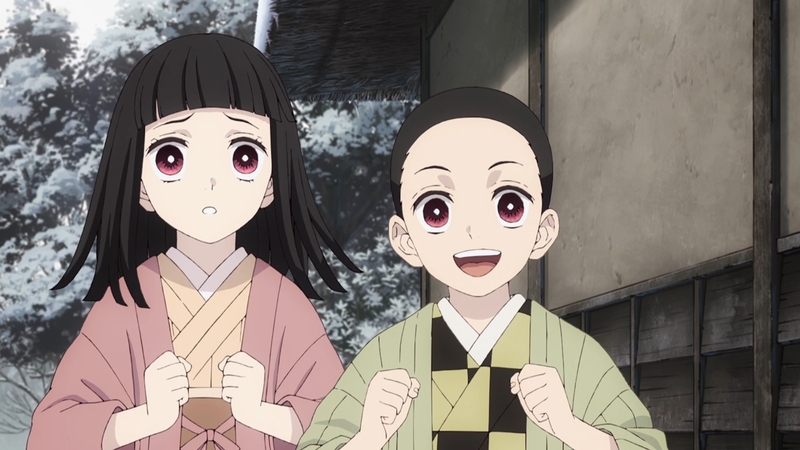 It might have been nice to get more of Nezuko before she turned into this demon since I can’t imagine we’ll be getting deep thoughts out of her for a long while. This started off nicely and showed that the action should hold up nicely if nothing else. If we can get some good action and character moments then this should be worth seeing how things play out.